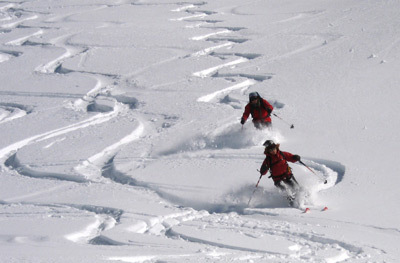 In winter many ski results from 30 to 100km drive, allow you to do free ride skiing (right) or simply enjoy beautiful snow landscapes among authentics mountain chalets (left). 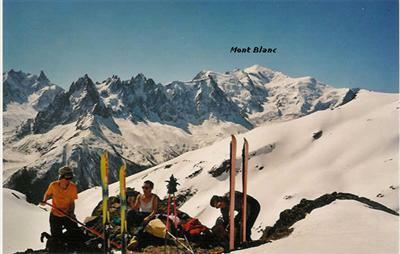 Francis, Yette and friends ski-touring in Chamonix Mont-Blanc, april 2002. A cable-car can carry you up to Aiguille du Midi (3800m, on the left of Mont-Blanc). 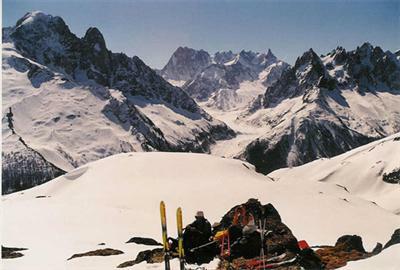 At left, in front of "Mer de Glace" glacier, during the same ski-touring. 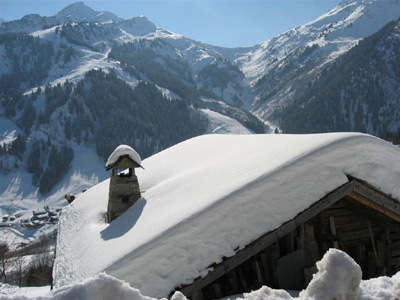 In the south-east of France, 200 km away from Grenoble, Provence has nice warm weather. You will enjoy visiting its impressive rocks hills(right), its vineyard, and Roman ruins at Vaison la Romaine. 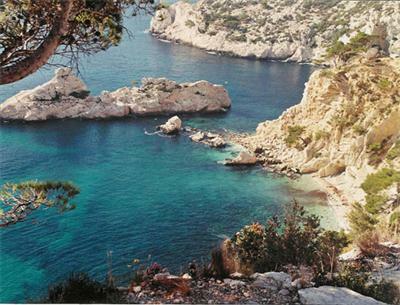 At left :One of the very famous "calanques" of Marseille (the first Greek harbour Massilia in Galia). 3 hours drive from Grenoble. 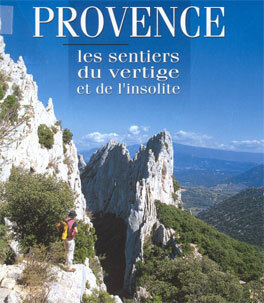 for closer suggestions see the french version "environs"